Get a free tree evaluation with no obligation. 20 Years Experience. 100% Guarantee. Get My Free Estimate Here! Parker Colorado lawns need special treatment due to unique soil conditions and dry weather. We offer one-time or multiple treatment regimens. 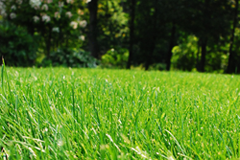 View our lawn services here. This is our local tree service blog for the Parker area. 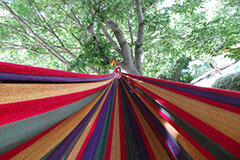 Look here for news and the latest tips to better care for your trees and lawns. 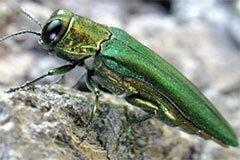 The Emerald Ash Borer, a metallic green beetle, infests and kills ash trees within a couple years. Found in Boulder, Colorado in 2013, we hope to contain it. So far Parker has avoided the infestation. Learn how to protect your ash trees and prevent the spread of this lethal beetle. Tree Service Parker CO is the resource for tree care in Parker and surrounding areas. We have served the area for over 20 years and know the unique nature of our soils, trees, insects, and diseases in Douglas County. We guarantee high quality results and promote lawn and tree health. We are also very aware of our green environment and follow our own sustainability initiative. Snow hazards in Parker are bountiful due to the high number of trees in our area. Learn when and who to contact when your tree branches and roots have broken or destabilized. Read more about snow hazards in Parker here. Parker water supply is always limited. Learn about the rain water collection law for Coloradoans passed in August. Also view watering schedules for Parker and outlook for the future. 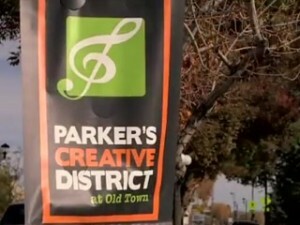 Read more about Parker water supply here. How are You Responsible for Our News? How are you responsible for the latest news in our tree service business? Because of you, we have great news. Most of all, find out what you’ve done and how we appreciate you here. Douglas County Land Conservation is offering a guided hike with amateur photographers on Wednesday July 20, 2016. Bring your own picnic food, camera, and marshmallows to roast on the open fire. Read more about the Douglas County Picnic Hike here. Although not in Douglas County yet?, the Emerald Ash Borer (EAB) has been confirmed in Longmont, CO on July 7, 2016. The EAB kills ash trees nationwide. Find out the signs of this beetle, if your ash trees are infested, and what you can do to treat or remove the pest. Read more about the EAB in Longmont here. Get the latest Emerald Ash Borer update now. Find out what the City of Denver is initiating to protect our ash trees. Emerald ash borer was discovered in Boulder in 2012 and although we don’t want the beetle to spread throughout the state, it is likely to happen. Find out how to protect your trees and read more about ash trees and the emerald ash borer here. Aeration helps nourish soils and helps nutrients reach roots. Colorado harbors many hard, clay soils with extreme weather conditions and winds that makes healthy, lush lawns difficult to attain. Aeration is a good option. Learn more about how aeration nourishes soil here. Also get one free aeration treatment starting March 30, 2016 for up to 4 weeks. Schedule one tree trimming or tree service here to get one free lawn care service at no charge. Snow mold, a winter fungus, is more prevalent in Denver and surrounding areas. This fungus develops under the cover of snow. Finally, see what it looks like and what you can do to eradicate this unwelcome fungal foe. Read more about snow mold in Parker, Denver, and local neighborhoods. Denver and Parker Christmas tree recycling and pickup available beginning December 28, 2015. Call 303-806-TREE to schedule curbside Christmas tree pickup. Read more about Parker Christmas Tree Recycling here. Surprise! Winter watering is sometimes vital to prevent tree branch dieback and sometimes tree mortality. Weather, drought and hard Colorado soils are a few essential reasons to water in the winter. Trees continue to need moisture during the winter, and sometimes our dry and hard clay soils won’t allow water absorption, which may cause damage the following spring. Read more about about why winter watering is important. Read more about the benefits of deep root fertilization. Request a free quote for deep root fertilization. No Obligation. 20 Years Experience. 100% Guarantee. Pine sawfly in Douglas County and Elbert County Colorado update in 2015. What the adult male and female sawflies look like and what trees they affect in our area. Learn about more about the pine sawfly and how to remove the pest. The pine sawfly made its way into Colorado yards last year in 2014 and the outbreak was a big one. Now they are on the rise just southeast of the Denver area yet again. See what the sawfly and its larvae look like and what affects small or large infestations have on ponderosas. Find out more about the pine sawfly and how you can protect your pine trees. Our Colorado neighbors are wondering if we need to worry about the emerald ash borer (EAB). So far, the state and other offices are managing the quarantine to the Boulder area. However, if and when it spreads its wings and flies a half-mile from its exit hole in an ash trees, the EAB can go many places quickly. Read more about emerald ash borer prevention and what you can do to protect healthy ash trees instead of remove infested ones. Colorado is releasing wasps June-July, 2015 to lower emerald ash borer (EAB) numbers. We hope to slow the spread of this EAB beetle with a gnat-sized stingless wasp that kills the beetle’s larva. The EAB is a green beetle known to kill ash trees and found in Boulder, Colorado. Read more here about one of the most devastating pests in America, where it is in Colorado, and how to protect your ash trees. Is the Emerald Ash Borer a lethal beetle? To ash trees, once an emerald ash borer makes contact, ashes tend to die within a couple years. Tree Service Parker CO is dedicated to learning and sharing. When we find out more about this green beetle, we are going to tell you what we know. We don’t want this little green beetle to beat us by killing our trees. Learn which Colorado areas are affected by the Emerald Ash Borer (EAB) and what you can do to save your ash trees before the EAB takes them. Read more about the Emerald Ash Borer lethal beetle here. Tree Service Parker CO serves clients in Pinery, Stonegate and Parker, CO. We also serve many other surrounding Colorado communities and HOAs. Tree Service Parker is a professional, insured tree service with licensed arborists. We choose to treat our professional as a craft where we provide the best quality service to our clients, homeowners and managements facilities needing tree service attention. We are consistent, reliable and have 20 years of experience to beautify your landscapes and neighborhoods. Hours: Monday through Friday – 8am to 5pm. Saturday by appointment.